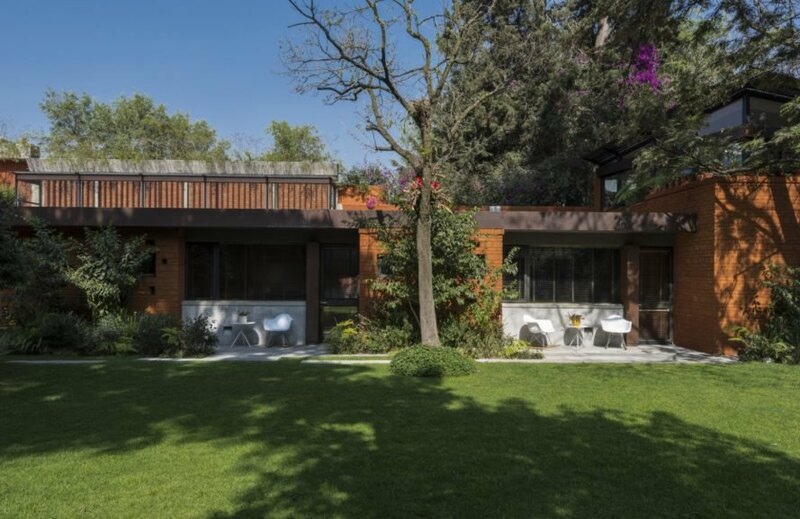 When Mexican architecture practice Hector Delmar Arquitectura was tapped to renovate a dark and dated 1950s house in the city of Naucalpan, it did more than just update the dwelling to modern standards. The architects dramatically opened the existing structure up to light and the outdoors, expanded the footprint to a site area of 8,288 square feet and applied bioclimatic and sustainable strategies such as radiant floors and solar photovoltaic panels. The breezy home — called the C260 House — erases boundaries between the light-filled interiors and the lushly-planted landscape. 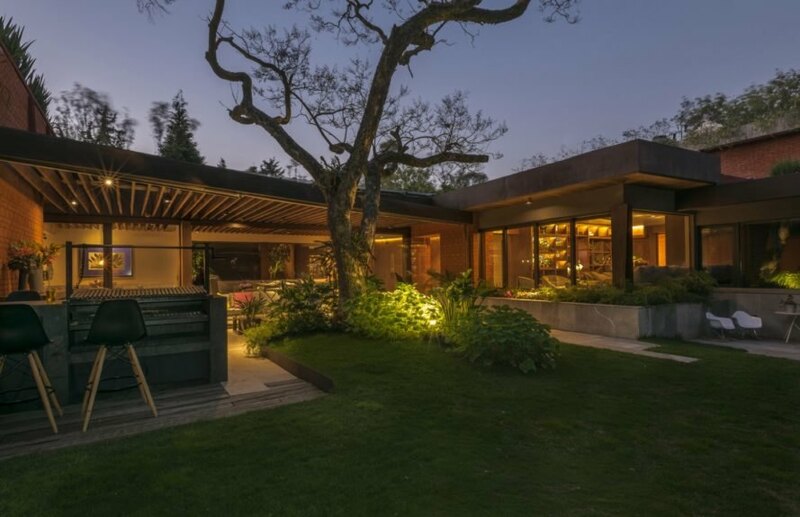 Set on an old garden with large trees, the original 1950s flat-roofed house suffered from a lack of ventilation. In renovating the building, the architects began by tearing back layers of materials applied to the building after numerous alterations to reveal 21-centimeter-thick brick walls and concrete slabs that the architects retained as their starting point. 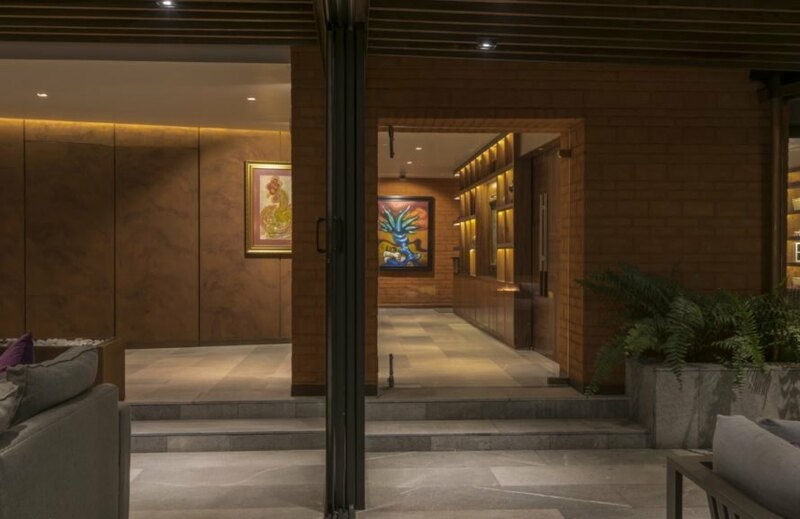 The team also knocked down some walls to expose the home to cross breezes and installed thin protruding roofs to offer shelter from the elements and to give the residence an airy pavilion-like feel throughout. The team also focused on using reclaimed and recycled materials in renovating the old home. “Carpentry and wooden features were reclaimed from demolition, also timber beams were reclaimed from a demolished restaurant nearby and used for shading the terrace and other additions,” the architects said. The primary rooms of the home were moved to the new addition, while the old structure is now used for secondary functions including a gymnasium, three bathrooms, a dressing room, pool and service areas. 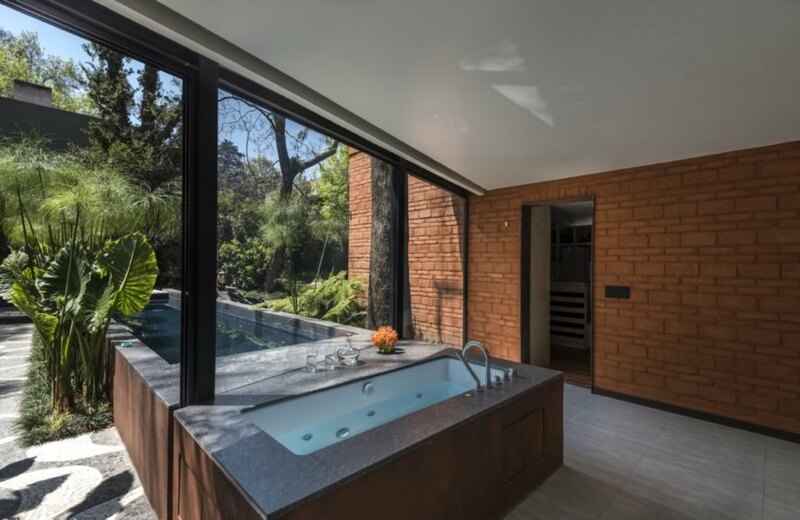 Outdoor areas were carved from the garden to further emphasize the home’s connection with the landscape, and the concrete slab slopes were modified to capture storm water and to optimize thermal mass. The house is also equipped with solar hot water heaters, water pumps, radiant floors and a solar array. The house was opened up to views of the existing trees. Full-height glazing provides constant connections with the landscape. The house is powered by solar energy. The home is primarily built from brick and weathering steel. The concrete floors are equipped with radiant heating. 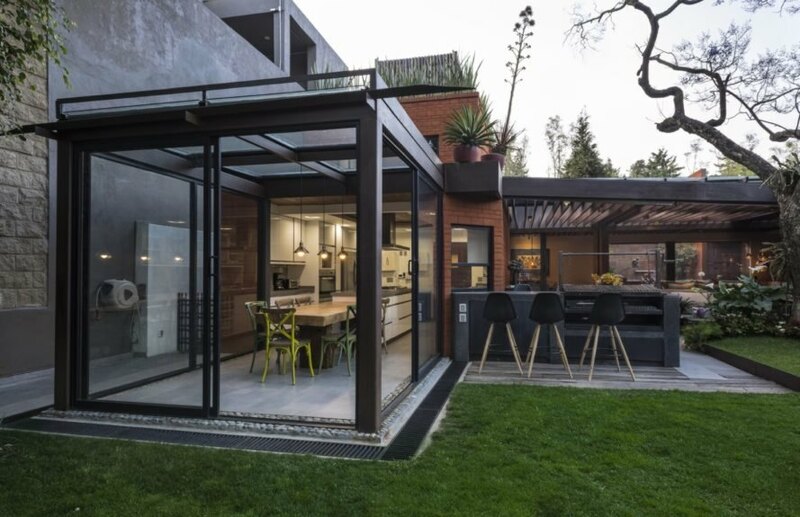 Full-height metal-framed glazing erase the boundaries between indoors and out. A look at the floor plan of C260 House.